Classic materials and performance - Avant-Garde creativity! Sterling Shapes© offers 14 different styles of Solid Surface bathware in many attractive colors. Inspiring, versatile shapes provide just what clients are looking for - something pleasingly different without sacrificing performance and ease of maintenance. Selecting Solid Surface bathware takes advantage of it's attributes: longevity, durability, and resistance to stains and scratches. Simply, a wise investment. Available in most Solid Surface colors. Bowls are ready for seamed under-mounting. Bowls are sanded to a 180 grit finish prepared for final finish to 240 grit after mounting. 10 year material / 1 year fabrication warranty. You've seen them before, the old standby's that continue to perform. SS-810-ADA - Classic oval, ADA compliant. SS-820 - Small classic oval. 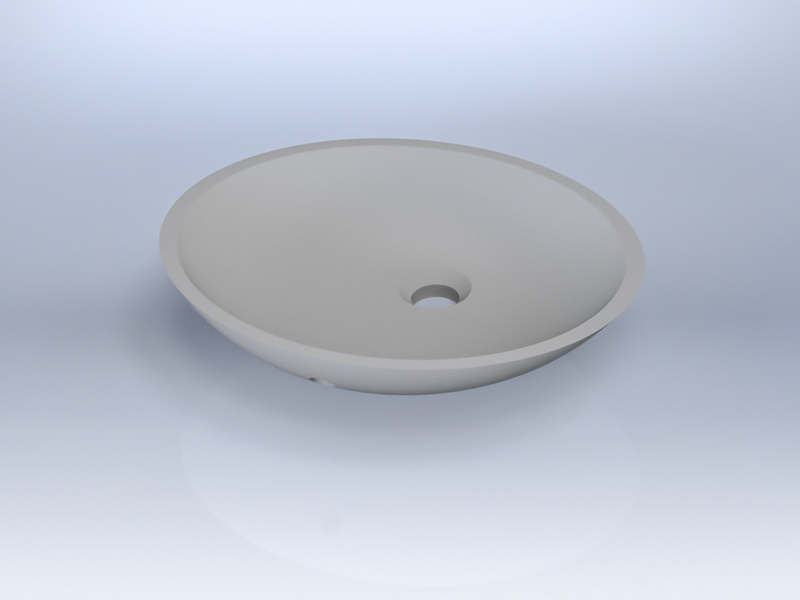 SS-820-ADA - Small classic oval, ADA compliant. Where Solid Surface is at its best in the home, designs that make it cool! SS-RIALTA - A crisp, tight rectangle. SS-LAGOON - An elegant scoop. Solid Surface hard at work in the office, exam room, and healthcare settings. SS-BEBE - Ovular baby bath.